Dominican Rep. Guard Rigoberto Mendoza (190-G-92) had an amazing evening in the last round for top-ranked Capitanes, receiving a Interperformances LNBP Player of the Week award for round 36. The 26-year old player was the main contributor (37 points, five rebounds and seven assists) to his team's victory, helping them to outclass Soles (#2, 20-12) with 32-point margin 109-77. It allowed Capitanes to take over top position in the Mexican LNBP. They would have been even better if they hadn't lost a few games earlier this season. Capitanes has a very solid 21-12 record, but they cannot be too comfortable about keeping top position. In the team's last game Mendoza had a remarkable seven three-pointers out of 12 attempts. 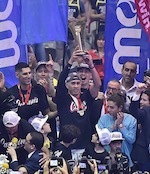 He turned to be Capitanes' top player in his first season with the team. Rigoberto Mendoza averages this season 18.0ppg, 5.5rpg and 4.2apg. 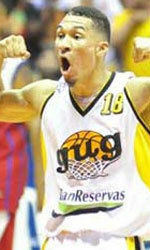 The second best player in last round's games was another Capitanes' star - 27-year old Cuban Ismael Romero (203-C-91). Romero had a very good evening with 31 points, 5 rebounds and 2 assists. Of course together with Mendoza he helped Capitanes with another comfortable win outscoring slightly lower-ranked Soles (#2, 20-12) 109-77. 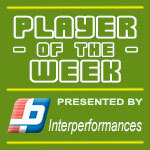 It was definitely game of the week between two contenders to the top position in South. Capitanes consolidated its place in the very top position of the standings. His team has currently 21-12 record. Romero is a newcomer at Capitanes, but is already one of team's top players. He belongs to the best scorers in the league with 18.5ppg (#9). He also registered 8.2 boards per game. Third on the list of top players last round was Eduardo Gonzalez (89) of Aaguacateros (#3). Gonzalez scored 25 points and passed eight assists. He was a key player of Aaguacateros, leading his team to a 92-90 win against #4 ranked Laguneros. Aaguacateros needs these victories very badly if they think about getting closer to top teams in North. Their record at this point is 19 victories and 12 lost games. Gonzalez has a great season in Mexico. After 31 games, he made it on the list of the league's leaders in assists with 5.1apg (7th best).